As the Spring Festival and Tibetan Losar draw near, Lhasa's "Kasai street" along the road from the north gate to the west gate of Dzongyab Lukhang Park is bustling. 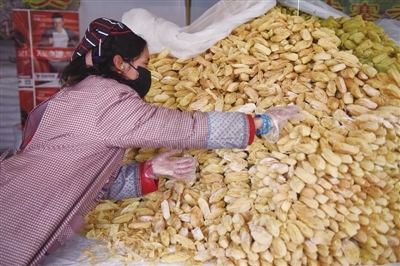 Photo shows a shopkeeper placing trays of fried pastry Kasai snacks. 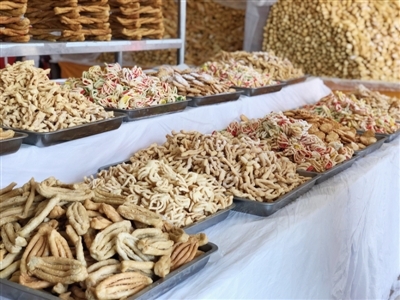 Photo shows trays of fried pastry Kasai snacks in shop.